There are different instances in which you might need to hire the service of a lawyer. It can be a legal issue in your daily life, marital separation, an accident claim, creating a legal document for your business, among many other reasons. In many common legal issues determining if you need a lawyer or not can put you in dilemma. Sometimes, you might get the thought that the issue can be sorted out by yourself, but certain times your intuition may fail at the end. On the other hand, you may take an attorney’s service for a silly issue that could be sorted all by yourself. So when you have to hire the lawyer? 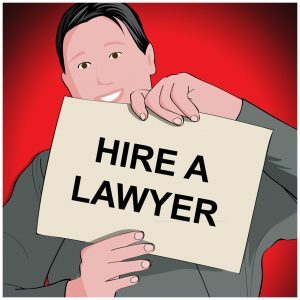 Lined up are four tips which will make you a better decision maker next time when you get confused between hiring a lawyer’s help or not. Of course, your requirement determines whether you need a lawyer or not. It is advisable to analyze the situation as a first step. In certain instances if you avoid hiring a lawyer, you may have to face unknown consequences. For instance, when you are starting a small business you might feel a business attorney is lavishness. It may prove a wrong step in future as there are certain crucial points where business lawyers have expertise and you might not even know it. Money is worth for you as well as for the service-provider who is the attorney here. The cost associated with hiring the service of a lawyer often makes you reluctant of taking the right step. The fact is you will be saving when you have an expert attorney at crucial legal issues. When a good lawyer is at your service and helping you to come out of further complications, you might have to spend for it. Make sure you don’t stay away from hiring a lawyer just to save money which may prove wrong later. In certain times, the cost and the effort needed might stop you from taking the legal issue forward. Instead, you might be interested in opting for a settlement. It is specially preferred in simple cases such as: who’s getting the Iced Capp Machine? It is one of the possible instances which you need the support of an attorney for sure. Prior to that, an expert attorney would advise you if it is better to go for a settlement or continue legal trials further. On the opposite side if the other party has hired an attorney’s service for settlement, then also it is better for you to take the same step. In that way, you can be assured of a fair settlement for both the parties which might not be possible without an attorney. Once you have decided to hire a lawyer, the next step would be to find the right person who has expert knowledge and proven professional excellence to help you sort out the problem. Don’t be afraid to ask about the expertise and experience of the lawyer and whether the person has handled similar legal issues formerly. Try to get in touch with a few of his clients and increase your level of understanding about how the lawyer deals with cases. Also, make sure the attorney communicate properly about your case details.